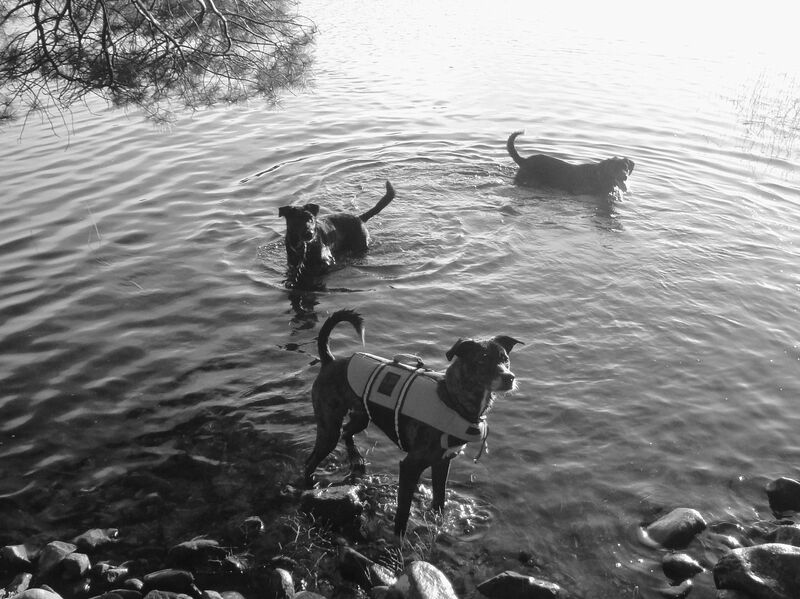 With her life jacket secured, Shiva can even keep up with the labs at the lake. Well, almost. She prefers to let the other dogs swim out to get the ball and then steal it when they return toshore. But it’s a start. 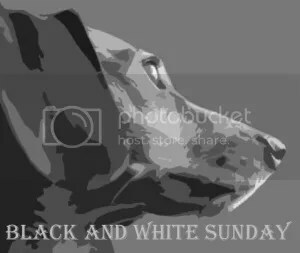 My Life in Blog Years is teaming up with You Did What With Your Weiner and Dachshund Nola to host a Black and White Sunday blog hop. Grab the badge and join in! Does she always go in with a vest on and have you found it helps her feel more secure and comfortable in the water? There is just so much water here and swimming and boating are two of my most favourite activities. I’d love to be able to enjoy them with my dog without worrying she is completely miserable! Bella will be having her first taste of the ocean later in September. She’s not one for the water so we’re kind of curious what she’ll think of it. Should I get her a lifejacket? It’s up to you but I found it helped Shiva. It’s all about baby steps. Shiva’s biggest fear has always been water. She was even terrified of water bottles when we first adopted her and wouldn’t go near her water dish unless we stood in the next room. The fact that three years later she is finally able to actually swim on her own for five whole seconds is pretty huge. I’d love for her to be confident enough in the water to jump in off a dock one day but am not sure we’ll ever get there. LOL, Shiva you are so funny! Let the other dogs fetch it and then you grab it! I love that you got her a vest. That’s a great shot! And it looks like Shiva is getting a lot braver with the water! Shiva is looking so relaxed and happy:) Lovely photo. Hanging with Labs will probably help her get more fun from the water too. It’s good to know the lifejacket has helped. Don’t think I’ll get one for Beryl though … she’s probably swum for a whole 10 seconds in her life, but I don’t really want her swimming in the sea. She and I are happy with her splashing in the shallow stuff. Why swim to get the ball when you can steal it from your Labbie friends when they get back to shore? Very smart Shiva, very smart.